One of the hardest things for small to medium size businesses is growing online. They often lack the technical resources to do everything they need on their own, and rely on agencies, often, which they can barely afford, to get technical tasks done on the web. Rarely do you see an SMB company thriving on the web, typically only the more technically savvy ones are capable of this, with less technical companies struggling. 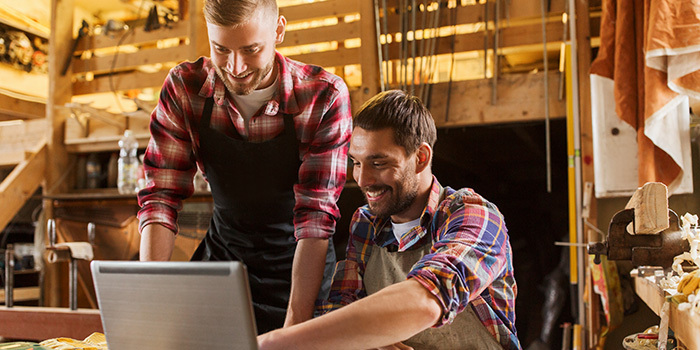 To really do well in eCommerce, you must have the right platform, because for almost every SMB Company, the cost of building your own is not even remotely realistic. With hundreds of platforms how do you choose the right one? The first place to start is requirements gathering. Understanding your requirements inside and out is critical to selecting the right platform. Many SMB companies jump into a platform without fully thinking through what they really need from an eCommerce website. If the platform can’t handle your requirements, perhaps there is an app or extension for it that can? Is that app trusted, or could it cause complications? Once you understand your requirements you can start to look into platforms that will be able to handle them. One of the problems with only going off current requirements is that as your business and eCommerce website grows, your requirements will change. Your platform may work for now, but you don’t want to have to replatform in a year or two because of new requirements. Putting a plan in place for future requirements will help you better choose a platform for the future. A three year roadmap is usually a good roadmap to have in place to grow your eCommerce store and help you pick a platform for the future. Shopify: Shopify is certainly a top choice for most SMB companies going eCommerce. It is easy to use, affordable, and has a massive growing community around it. Shopify is the best option for many SMB companies because its less costly to maintain the open source platforms and all the updates are handled for you. However, if you need complex B2B functionality or other special functionality like multisite, Shopify might not be the platform for you. WooCommerce: WooCommerce is technically the most used eCommerce platform in the world, however it is mostly used by small shops. It is a great platform for simpler projects that also want to take advantage of the great CMS that WordPress is. The biggest problem I have found with WooCommerce is that you can wind up relying on a huge amount of plugins which can get expensive and costly to maintain as you need to upgrade many plugins and the core software. Magento Community Edition: Magento is a great platform and has incredible functionality for a platform with a free version, but it is definitely the most expensive platform of all these options for small businesses to leverage. Magento 2 is great and an improvement in many ways but I would say it is even more expensive to leverage than Magento 1 was because it is even more enterprise and complex from a development stand point. I think Magento is definitely the premium option here for SMB eCommerce users but of course comes with a premium cost to host, manage, and develop on. BigCommerce: I personally have not used BigCommerce much, but have heard positive things about its enterprise version. It seems to be doing well in the enterprise SMB space for merchants that want a more scalable SaaS eCommerce platform. It is certainly worth checking out, especially if you are considering Shopify as well. Opencart: Opencart is actually one of the most popular and used eCommerce platforms in the world, but is less known in the United States. What makes Opencart great is that it is easy to use and much simpler than its more enterprise counterpart, Magento. However, it is of course, much less sophisticated and lacks the feature richness of Magento. If you want a simpler and easier to use platform than Magento, but want open source flexibility, Opencart could be for you. Prestashop: Prestashop is also somewhat similar to Opencart in that it is a simple open source eCommerce platform. If you are looking at Opencart you may also want to consider Prestashop as another alternative in the Open Source market for simpler platforms than Magento. Squarespace Commerce: Squarespace Commerce has gained a lot of popularity in recent years. If you want the ease of use of SaaS and the great CMS capabilities of Squarespace, this could be a good choice. However, keep in mind Squarespace is still a very simple platform and has not shown it can scale compared to other eCommerce platforms like Magento and Shopify so you may want to steer away if you have big plans for the future. Zoey: Zoey is a great new innovative platform that has a much smaller user base than the rest of the platforms here. I listed it because it offers a lot of uniqueness in that it has the ease of use of a Shopify SaaS application, but more scalability and features for more complex companies. If you have a large catalog or perhaps B2B needs, Zoey could be a good fit for you if you don’t want the burden of Open Source but feel Shopify or BigCommerce is too limiting. If you need help choosing an eCommerce platform, we can help you decide and pick the right platform for not only today’s needs, but your future needs and growth plans. Thats a tough question to answer without knowing more. I think Bigcommerce and Shopify are good SMB platforms that don’t require a lot of custom development if you use a theme and use apps for any non core functionality. If you have more complex needs you may need Magento. 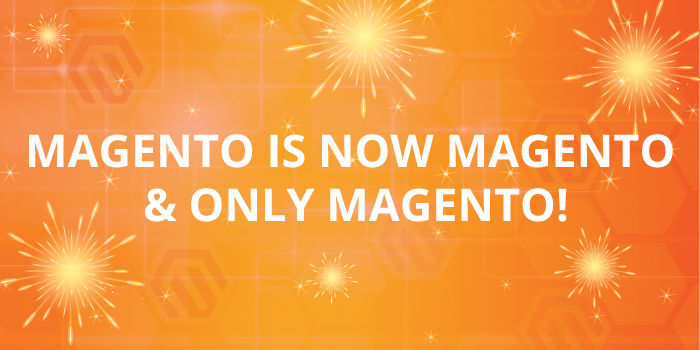 Magento Is Now Magento and Only Magento!